If Blessing Okagbare, the 25-year-old Nigerian lady who is putting the country's name on the global map, were a footballer, Nigerians would have appreciated her achievements more profoundly. President Goodluck Jonathan rewarded Blessing with N3m and her first coach, Mr Daniel Esebinimo, with N3.5m. The President also promised them national honours and asked the Ministries of Sports and Finance to assist her preparations for the 2016 Olympics. At the 2013 World Championships in Moscow, Okagbare won silver in the long jump. Her jump of 6.99m was two centimetres - less than inch - short of the gold medal. In the 100m final, she placed sixth with 11.04s. 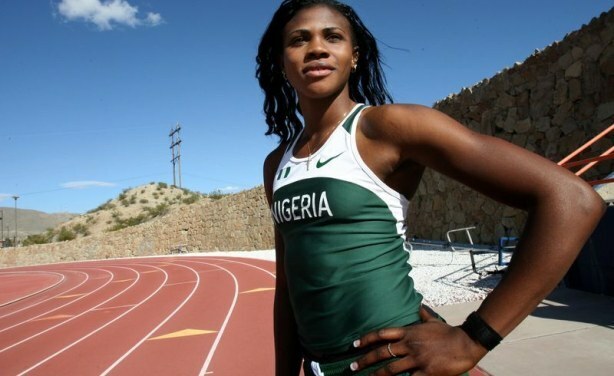 Okagbare lost the silver in 200m to Ivorien Murielle Ahoure in a photo finish. She is an Olympic and World medallist in the long jump, and the African record holder in the 100m. She had an incredible 2013 season, making her presence felt in the long jump, 100m and 200m.